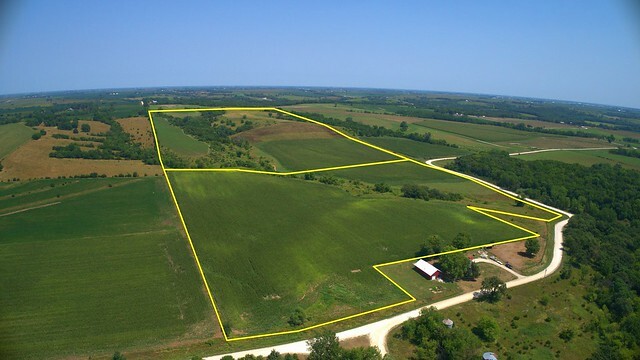 The farm is located Southwest of Winterset Iowa. 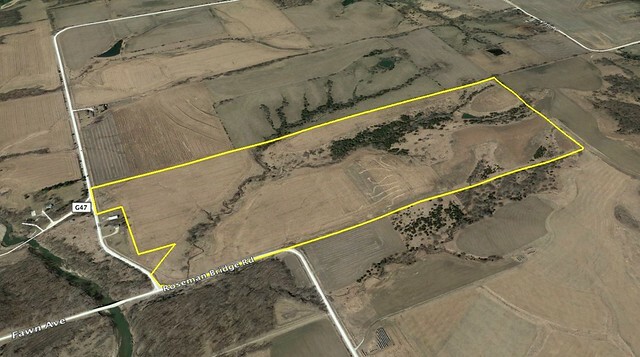 Go west of Winterset on Why 90 to Francesca Ave. Go south to through 4 turns. 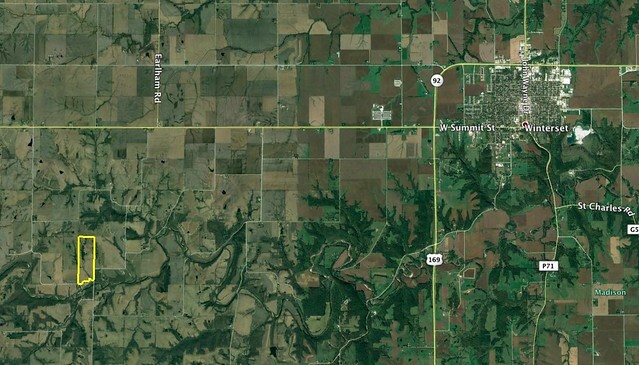 At 235th Francesca will turn south. 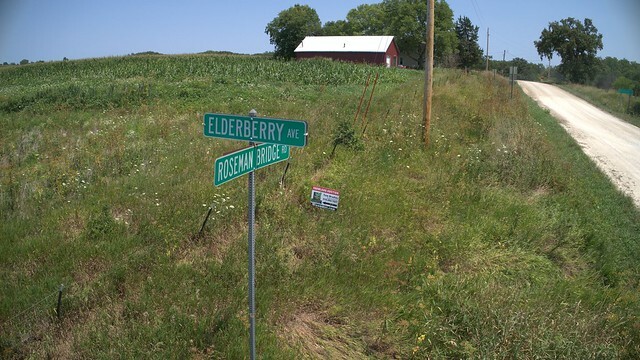 Follow it until it turns into Roseman Bridge Road. 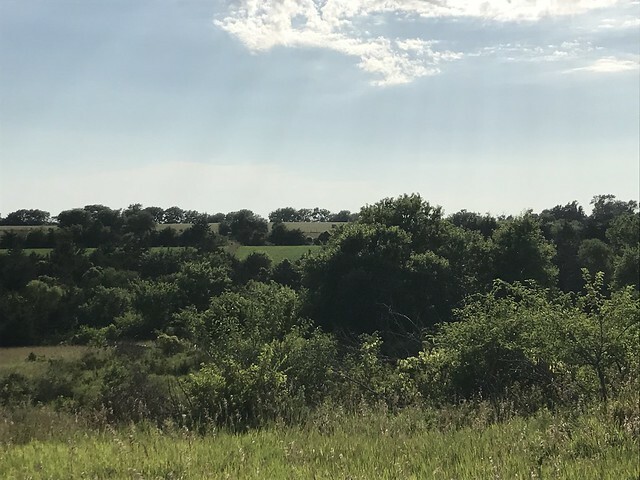 When you are on Roseman Bridge road it will meet Fawn Avenue. 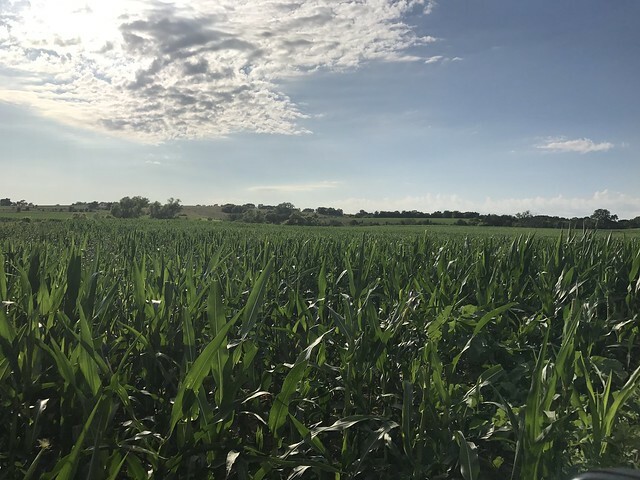 At that point you are at the SE corner of the farm. 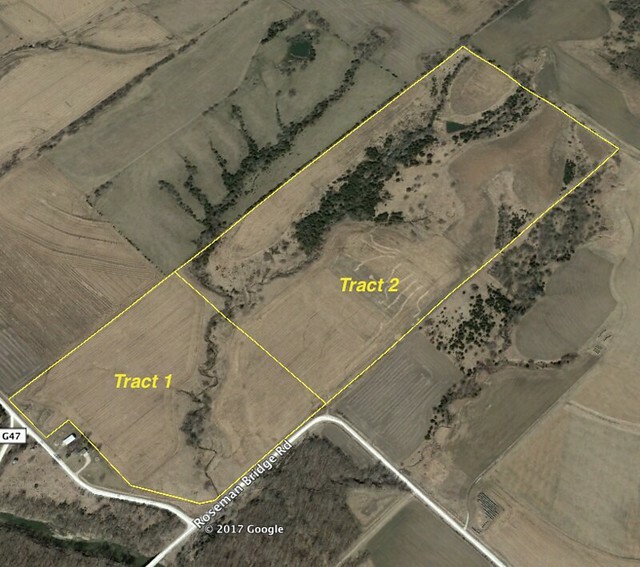 Tract 2 is 80 acres m/l with a CSR2 of 46.9. 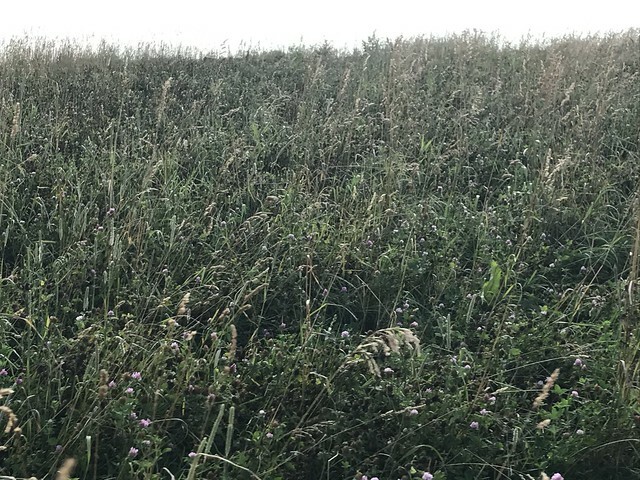 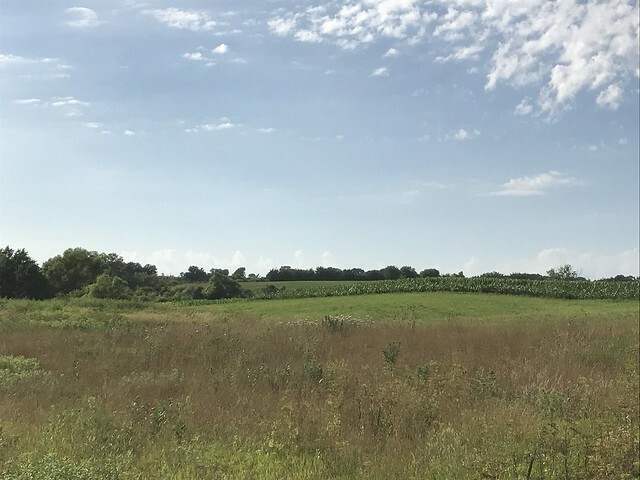 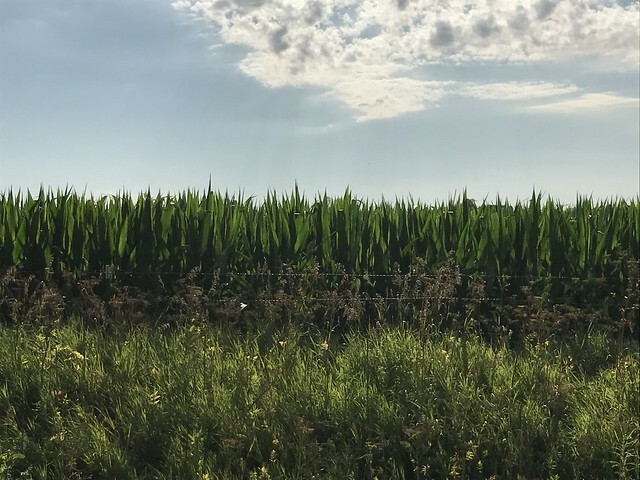 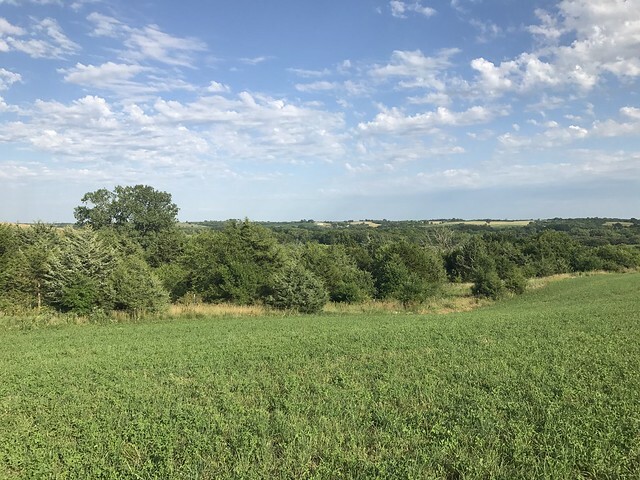 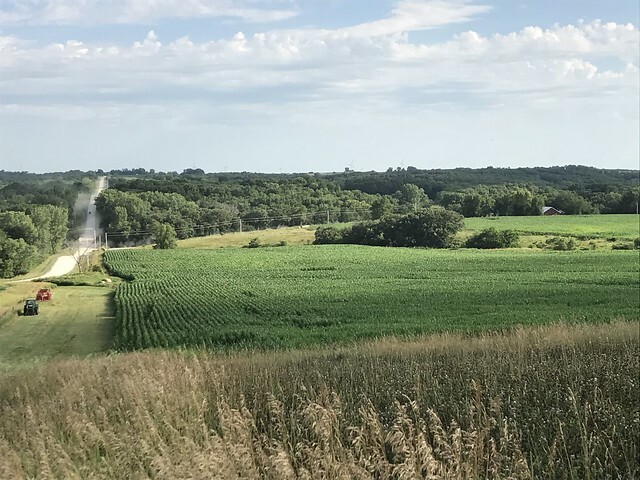 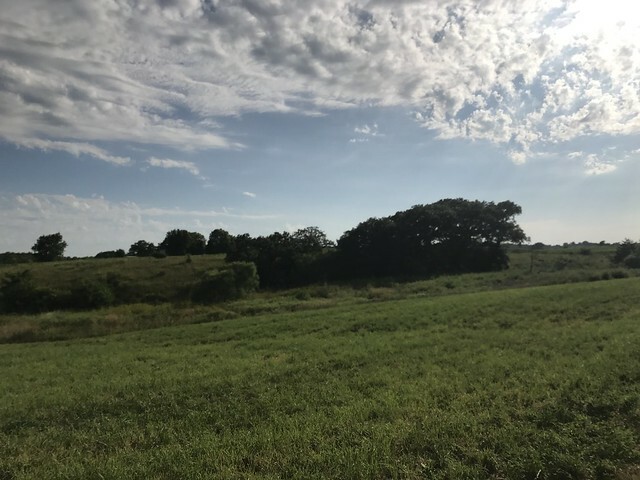 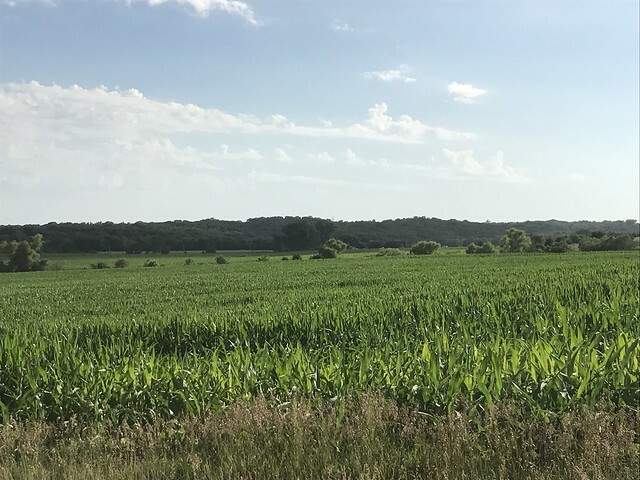 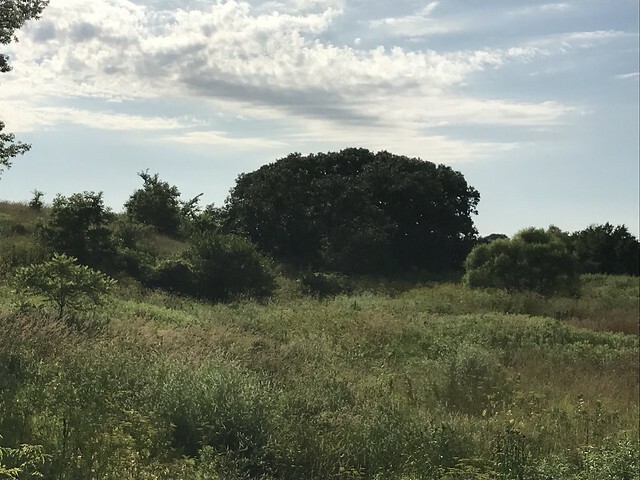 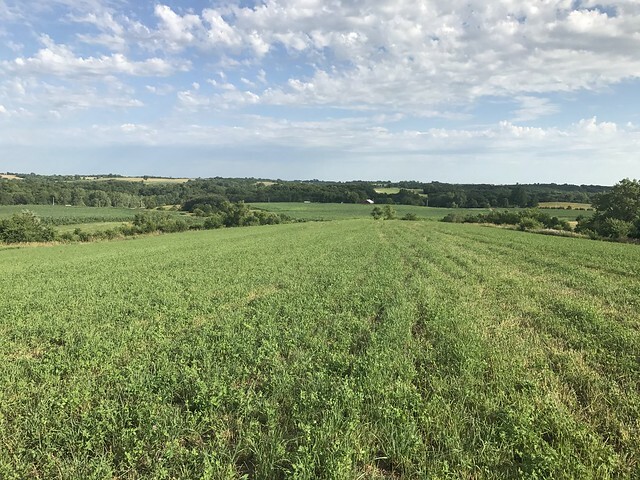 This tract is a combination of crop ground, hay and crp, with a wooded draw that holds deer and other wildlife, this tract aslo has rural water, would be a building location with a great veiw to the south. 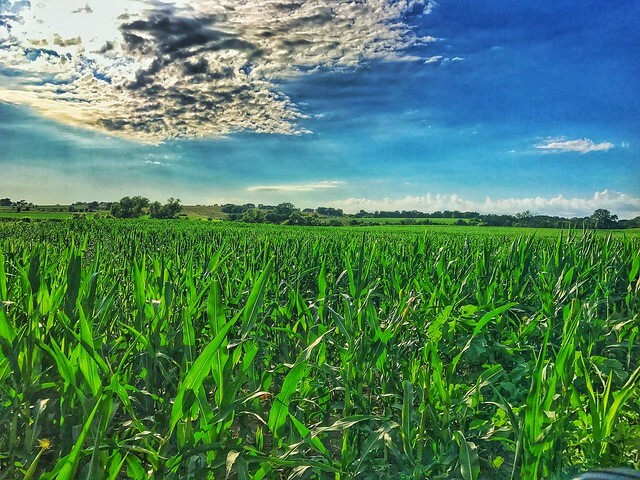 This is a great combination farm! 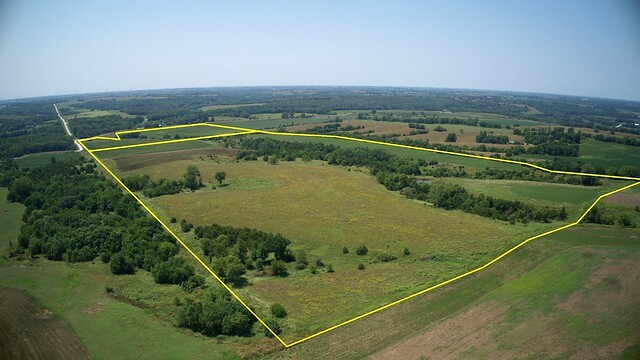 With tillable farmground, hay, CRP, with some great hunting. 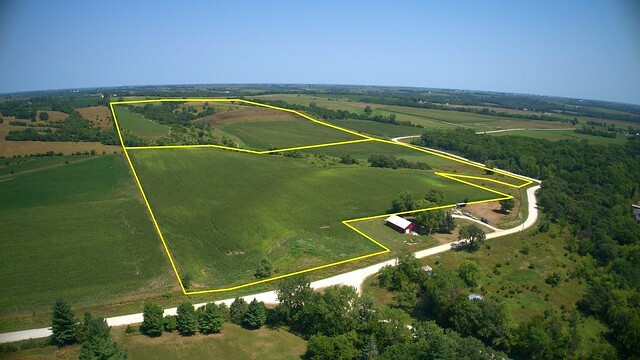 If you're looking for that perfect recreational farm with income, take a good look at this one! 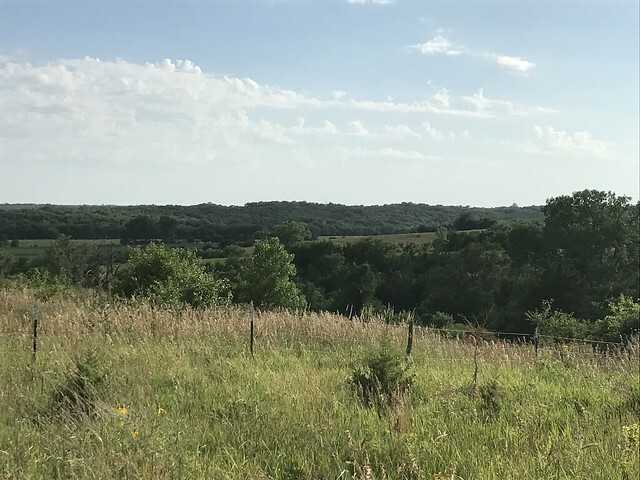 Farm has rural water on it with a cobett water to graze cattle on after feed, good fences, good alfalfa stand, with a great view. 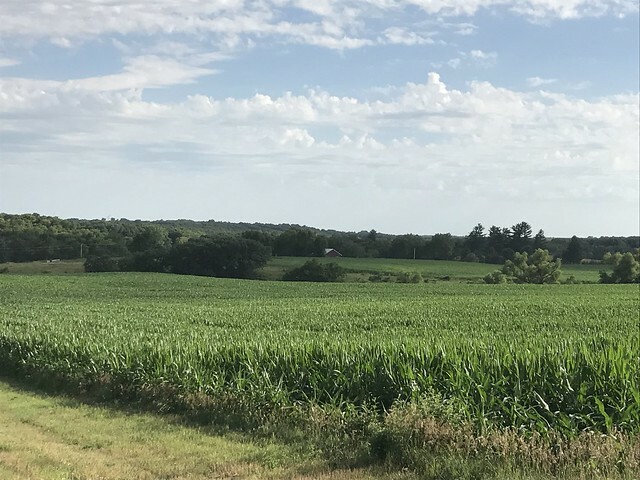 Farm will be selling in two tracts. 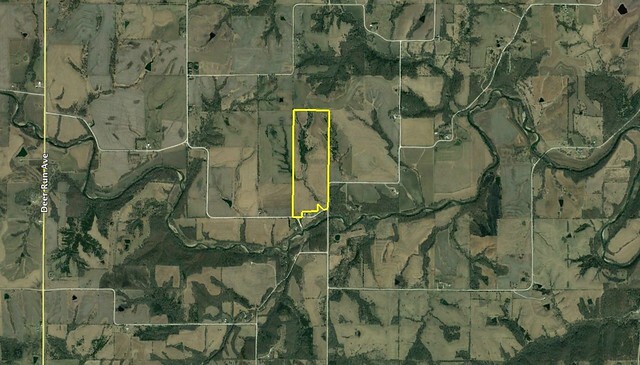 Tract 1 consists of 35 acres m/l. 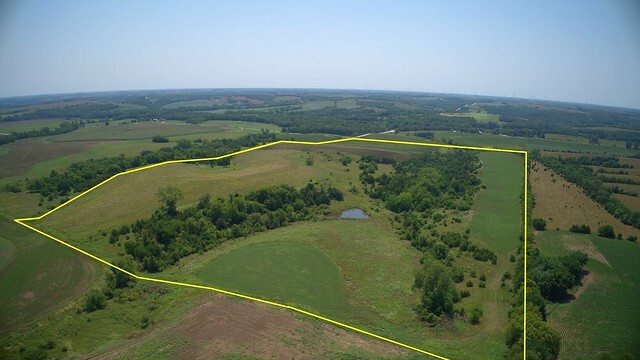 Tract 2 consists of 80 acres m/l. 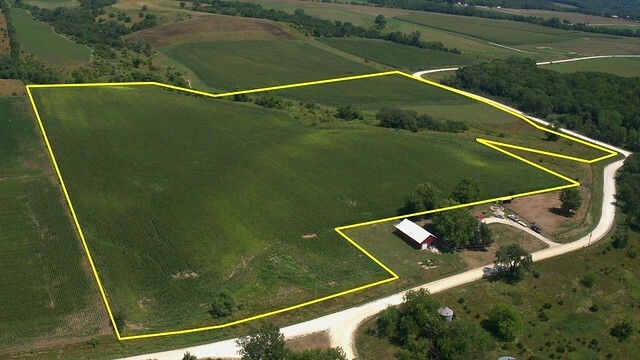 This auction will be conducted as a round robin style auction and will never be offered in a combination.